When used as foliar sprays, neonicotinoids have caused some concern among the general public because — like any pesticide — they can harm bees and other beneficial insects. However, using neonicotinoids as seed treatments minimizes these risks, and has become a commonly used tool for proactively protecting crops from insect damage. These seed treatments have benefits that include relatively low costs, low mammalian toxicity, and reduced worker handling of pesticides. Vegetable crops like snap bean are typically grown using neonicotinoid treated seeds to control seed and seedling pests, while pyrethroids are used later during the crop's development. Like neonicotinoids, pyrethroids can negatively impact non-target organisms and some insect pest populations can become resistant to them. Two researchers from Cornell University, Dr. Rebecca Schmidt-Jeffris and Dr. Brian Nault, have sought to determine if an alternative class of insecticide — anthranilic diamides — could be effectively used instead. If so, farmers would have an additional tool for insect management, which could be especially important if neonicotinoids and/or pyrethroids lose their registrations. They conducted a series of studies in western New York to determine if anthranilic diamides delivered via multiple approaches could successfully control two major pests of the processing snap bean industry — the seed corn maggot (Delia platura) and the European corn borer (Ostrinia nubilalis). 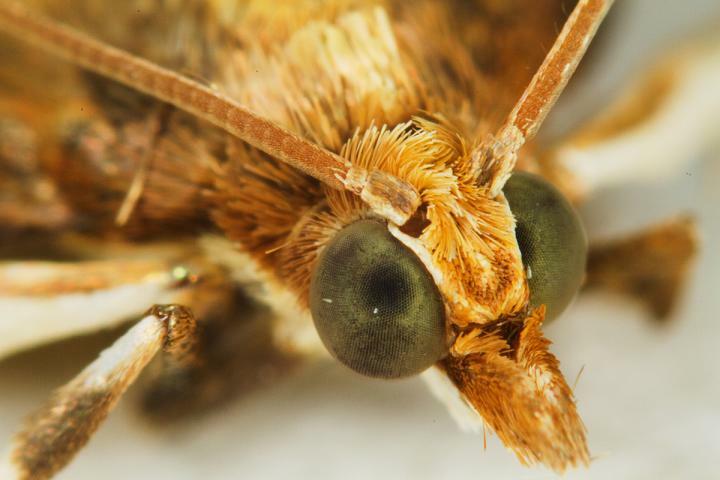 The results are published in the Journal of Economic Entomology. The anthranilic diamides performed as well as the industry standards when applied in a similar manner (i.e., comparing seed treatments with seed treatments and foliar applications with foliar applications). Many anthranilic diamide seed treatments reduced seed corn maggot damage to levels equivalent to the industry standard. Foliar applications, regardless of active ingredient (anthranilic diamide or pyrethroid), were typically more successful at controlling European corn borer than seed treatments or in-furrow applications. However, one chlorantaniliprole seed treatment was equally effective as a pyrethroid foliar spray, and many of the seed treatments and in-furrow applications substantially reduced damage compared with damage levels in the untreated control. It is possible that under lower, more typical pest pressure, these seed treatments would have performed as well as the foliar applications. The results demonstrate that anthranilic diamides have the efficacy of replacing their industry standard counterparts when applied in the same manner. Anthranilic diamides could replace neonicotinoid seed treatments, and foliar-applied diamides, which are already commercially available, could replace pyrethroids. The results also demonstrate that a single seed treatment of chlorantraniliprole has the potential to manage both a seed/seedling-feeding and foliar-feeding pest simultaneously, providing protection throughout the growing season. This could reduce the risk of pesticide exposure to applicators and non-target organisms, while simultaneously decreasing application costs due to the reduction in labor, fuel, and water use from switching from multiple foliar sprays to a single seed treatment. The Journal of Economic Entomology is published by the Entomological Society of America, the largest organization in the world serving the professional and scientific needs of entomologists and people in related disciplines. Founded in 1889, ESA today has more than 7,000 members affiliated with educational institutions, health agencies, private industry, and government. Members are researchers, teachers, extension service personnel, administrators, marketing representatives, research technicians, consultants, students, and hobbyists. For more information, visit http://www.entsoc.org.